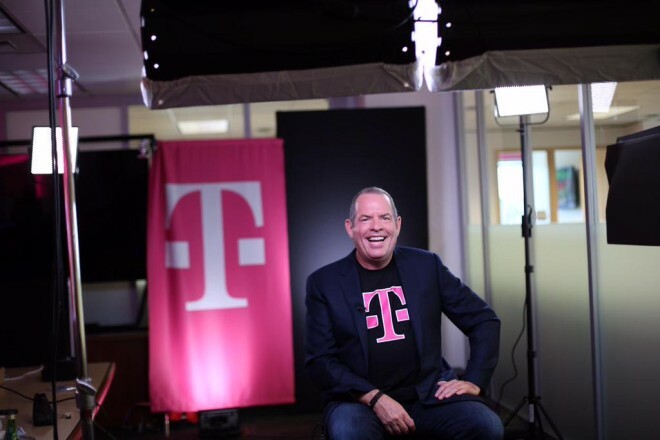 There’s a lot of focus on the upcoming 600MHz spectrum auction, especially with T-Mobile since Magenta plans to use it to bolster their low-band coverage. Today T-Mo CFO Braxton Carter touched on the auction while speaking at the Deutsche Bank Leveraged Finance Conference. At the event, Carter talked a bit about T-Mobile’s plan of attack for the auction, saying that T-Mo intends on buying 600MHz licenses that’ll cover the parts of the US that aren’t already under its 700MHz network coverage. 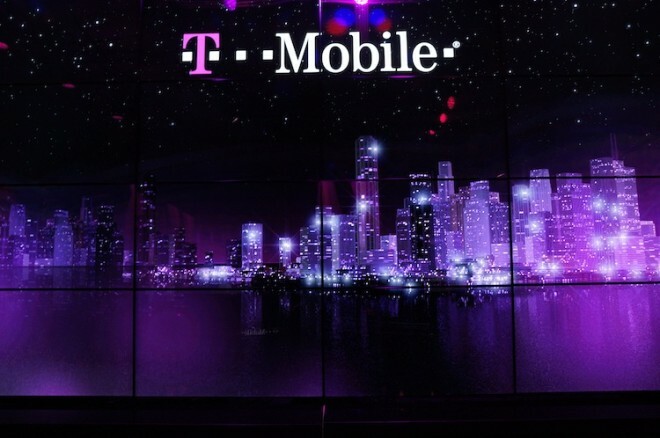 T-Mobile also plans to pick up some 600MHz coverage in major metro areas to help bolster any existing 700MHz coverage it might have in those areas. Carter thinks that this won’t cost T-Mobile more than $1 billion or $1.5 billion, but he added that they could have up to $10 billion to spend if necessary. Speaking of dropping cash on spectrum, Carter says that T-Mobile plans to continue to buy up 700MHz licenses where it makes sense to do so. T-Mobile will also “surgically” use small cells. So there’s a peek T-Mobile’s plan of attack for the upcoming 600MHz spectrum and beyond. Low-band spectrum is a big deal for T-Mo because it can reach greater distances and penetrate buildings better than higher band spectrum. Because one of the constant critiques of T-Mo is its coverage in rural areas, it’s no surprise that T-Mobile wants to get more low-band spectrum of the 600MHz and 700MHz varieties. We’ll just have to wait for the auction to take place next year to see exactly what kind of spectrum licenses it can actually acquire. Which band number is 600Mhz? Do most phones already have it or will it require new ones? There is no spec for 600 right now. It needs to be established. So by about 2020, you should be able to use Band 600. And yes you will need a new phone. I think it will be available to use by 2019 because by 2018 carriers will finally be able to start deploying and than in 1 year phones will probably start to appear. It’s rather sad that it will be so long till we start to get some good network coverage. I wish but unfortunately the tv stations need to vacate the licences befor carriers can use them. Thats what I am wondering. While I do like new phones.. having to get one all the time to take advantage of the new airwaves gets old. I do have the old jump… so if my EIP stays the same on a newer phone that I like then I am good. It’ll be years before the 600MHz band is ready and in devices. I don’t think it’ll take that long. That’s what many claimed when T-Mobile started buying 700Mhz spectrum last year and now, one year later, all newer T-Mobile phones have the band and they’ve already put most of what they bought in use. They also expect to put the rest into use by the end of 2015. I don’t think T-Mobile will wast any time getting this banded up and rolled out. Band 12 already existed and was deployed by USCC. True but I don’t see why it would take until 2020 to get the spectrum deployed. Many television stations currently own massive chunks of 600Mhz just as they did 700Mhz. In regards to 700Mhz it only took one year to move their television channels and get it operating on T-Mobile. I don’t see why 600Mhz would take much longer. As others have mentioned, the 600MHz band for LTE hasn’t been finalized yet. I imagine it has to go through quite a bit of software & hardware testing and approval from a number of different parties. Plus they’d need new antennas for each cell site. It’ll take a few years for sure. I definitely see where that could take some time. I don’t see how that would take 5 years. Especially since these bands are in use carrying signal by television stations. Refarming them may take some time and could take a few years but it won’t take anywhere near 5 years. 600MHz hasn’t been made into an LTE band yet. That may take a while given how slow some of this stuff works. No, but it would not surprise me that it would take about a couple of years after the auction to deploy the radios on antennas and in phones. This would push the availability for commercial use of the 600 MHz band to the 2nd half of 2018, so not that far from 2020. I could see three years at a maximum but I think it’ll be shorter than that. It would only take a year to get the new antenna in the phones but I could see where getting the band rolled out could take a year or so. You’re forgetting the time to define the band at 3GPP, development and lab and field testing of the radios by tier and phone makers, which in themselves easily add up to 12 or 18 months. Only after this can the radios be deployed in antennas and phones designed and made available commercially. That’s at least 2 and at most 3 years in the making from auction to retail. I highly doubt it would take anybody 5+ years to include the chip/bands that support 600Mhz in their phones. Band 12 wasn’t in many phones before T-Mobile rolled it out but now have support on all of their newer phones. You’re saying it’s going to take 5+ years just to get the spectrum deployed. Why would it take that long? There were a couple of regional carriers operating on band 12. Besides, since it’s a superset of band 17, it was merely a question of adapting existing hardware filters to the wider band. The 600 MHz band is wholly new. I see that but I don’t see how it would 5 years to get it and use it. I’ve not seen any new spectrum that took that long to buy and then get into use. I might be wrong but I’ve not seen any reason to believe it would take anywhere near 5 years to roll it out. auction isn’t taking place for another 6 months. then tv broadcasters have up to 39 months to vacate those airwaves. Band 12 was already defined and in use by a couple of regional carriers which provides customers with compatible phones. If anyone wants to understand the pace of deploying a new band, look no further than AWS3, which after months of a rich auction, has no band assignment to it yet and thus no phones compatible with it. JBL. It is frustrating, but that is just how it works. All carriers are like that, not just TMO. Wow, that’s $10 billion more than Sprint is bringing to the auction. I would’ve thought they would’ve wanted to get as much as possible to any and all places that they can. 5MHz of B12 isn’t all that much. I can see it now in just a couple years or so that people who rely on B12 suddenly see it crammed full. Carrier aggregation should be active sooner and later which has either B2+B12 or B4+B12 combo that leaves B12 inactive where B2 or B4 has reception, and B12 becomes active where B2 or B4 does not have reception. they did say they’ll be buying more in major metro areas. there will some overlay of 700 and 600 networks in areas they expect high demand. They might do 10+10 instead of 5+5; or a mix depending on how much bandwidth they need. Ideally I would love for them to buy a nationwide 10+10 license. T-Mobile should reserve 600MHz for Fifth Generation network. By the time 600MHz getting available, 5th Generation network should be ready for commercial. Fifth generation networks won’t be networks in the traditional sense. They will actually be mesh networks, where customers bring the connection. Today, T-Mobile is already at the forefront of this. They were first to sell their real estate assets and towers. I’m having my first real no coverage offered by T-Mobile experience… I am traveling for business in the middle of Wisconsin… 0 coverage as far as data I can still call and text. If I leave my hotel or work site I’m pretty much screwed on data. I had to download an offline map service to be able to get around since I’m working at multiple sites… I hope they can get more spectrum asap cause this is the pits! Even sprint has lte covered out here… C’mon tmo… Let’s get this done! I think they are going to delate the auction again. Sprint says they are not participating in the auction currently, which I believe is a bluff to delay the auction, and Tmobile is estimating only 1.5 billion as well as saying they are only going to use it to cover areas where they do not have 700Mhz spectrum(but they did mention being willing to spend 10billion). Plus Att and Verizon are capped in how much spectrum they can get from the auction. We do not have enough cash flush regional/local carriers to afford to bring in enough value from the auction to get the TV networks to switch. Dish seems to be the only wild card in this. 30Mhz for smaller carriers and currently only one buyer, who believes they will not spend over 2 billion is not good, especially when the TV networks are expecting huge money considering how the AWS-3 auction went and it only had 50Mhz of paired spectrum instead of the 84Mhz and 600Mhz is more valuable than AWS. Keep in mind, Braxton also stated that other types of bidders may get in the game (cable companies, maybe even a Google? ), which can boost the bidding. With all the convergence of cable into wireless and vice versa, along with Google Fi, I could see more companies coming in to the auction. Another thing is, the reserve only kicks in after other rules are applied. I can’t recall off the top of my head what they were, but the gist was that if there is no reserve, Tmobile competes with everyone. And if that block is important enough, you’ll see the bids go higher. So there is incentive for TV stations to release their spectrum. Don’t forget, tmobile only has 5×5 in the 700mhz A block. That’s not much if they expect to use it for inbuilding propagation. I could see them looking for as much 10X10 600mhz throughout the nation. Cable Companies tried the whole get into the wireless game. It flopped and Verizon got a ton of AWS spectrum from the deal. I doubt they are going to try that experiment again. I could see one of them trying to buy tmobile, but that is another story. Google is interesting, but I am not holding my breathe on that one. Fi was not as revolutionary as it was made out to be. I also think the whole point of Fi was for them to be your carrier, so you did not have to choose a network and the best network would be chosen for you. They also do not have any network to build the spectrum on. Dish is still struggling to find a partner to build a network for. I think Google would have an even harder time than Dish. I think you have the reserve rules backwards. The rules( as I remember them) were that there was a 30Mhz reserve that no carrier with more than 45Mhz of low band spectrum could bid on(This basically rules out Verzon and ATT across most of the US). The main problem I see is that Verizon and Att cannot touch that spectrum unless it does not hit the reserve price. Considering that they cannot use their cash to block smaller carriers from getting spectrum by outbidding them, I do not see a compelling reason to participate. The FCC has allowed the regional and local carriers to get eaten up by the Big 4. If all the members of the Big four to not participate or They do not have replacements(like a Dish) for the ones that do, I thin the smart decision is to shelve the spectrum for another year or two. I do not think they want egg on their face if this auction with the reserve goes bad. Does anybody knows around when is the NYC market will be officially live with Band 12? I have the iPhone 6S Plus and I don’t see any improvements what so ever or is it that still no Band 12 active? Not in NYC yet but T-Mo do have cells that they are testing in the Tri-State area but no timeline on when such testing and deployment will be complete…SIGH…. With Sprint dropping out and Verizon not very interested T-Mobile should be pushing for a nationwide 10×10. It’s good to know that T-Mobile has the cash to compete, but wouldn’t it be too optimistic to think that T-Mobile will walk away with all the spectrum they want for less than 2 billion. Well by the looks of it I really wonder how this auction is going to turn out now since every major player seems disinterested in participating. Unless they’re bluffing. I think they will focus on 600 in rural areas and in the major metros where they don’t already have a ton of 700 if any at all. In that case $2 billion could be right. If they’re bidding on reserve spectrum they won’t need to spend as much. I think they’re making a mistake though by only buying in strategic areas. They really should snap up a nationwide license, no matter what the cost. I agree, but Braxton Carter seems to placing some of his bets that T-mobile will be acquired by another company that likely already has spectrum or the capital to buy more from rivals. Nationwide rollout is possible and they should take full advantage of it. People should tweet at John Legere and pressure them to buy as much as they can get. 600Mhz won’t be used for a few more years so it really doesn’t matter at this point. But focusing on making the current network stronger is. I agree but won’t we need the 600Mhz for it to be strong? I plan on keeping my iphone 6s Plus for a couple years. before I upgrade. I agree with you it is hard to “future-proof” these phones with each year the price goes up and up and up….Almost $1k for a 128GB iPhone and $900 for a Sammy phone and now the unlocked phones are getting in on the act too $700 for a 128GB Nexus 6P…YIKES!!!! It really is hard to futureproof! i guess we won’t be able to futureproof until the bands of what will be for the 600Mhz. and get those since that will be futureproof. The reason these prices are so outrageous is because people keep paying it. Frankly if people only bought phones based on their needs, Samsung and Apple would have no choice but to drop their prices. This is the reason why I’m strongly considering cheaper Motorola phones and such. I don’t even need the features flagship phones provide. I could actually do alright with a 720p screen with 32gb of storage and a medium-speed quad-core processor. All I do with my phone besides call and text is browse news and websites and watch the odd video. I feel like many people (if not most) don’t need more than what say.. a Moto G provides. They may want more, but they probably could do everything they need to do with something like it as their daily driver. In all honesty it probably won’t be built out in most places until 4-5 years post auction. What? This spectrum isn’t going to be in use for years. You do realize that the auction itself is a ways away and this is beachfront spectrum. Why would it be on any phones now?! Theres not even a band defined yet, the TV stations are still on the spectrum, and its not related to current bands. It’s up and being tested. I am connected to band 12 as we speak on my apartment. Currently at 2 bars and getting between 5 and 8 Mbps data speeds in Astoria Queens. I wonder if TMUS has been acquiring spectrum from license holders for less than it cost them at auction and is counting of this to acquire only the 600MHz spectrum it really needs at first and then expand as needed later for perhaps less than otherwise. Wonder how much Cavalier and USC are asking for existing 700MHz they own in North Carolina? Probably alot since Tmo hasn’t bought any from them..
Psst..he also said they just signed a (small) agreement to buy more 700A. This is how you guys can set yourself apart; focus on providing the info that other sites mostly aren’t. Did this guy just admit that they are not buying nationwide 10×10 again?